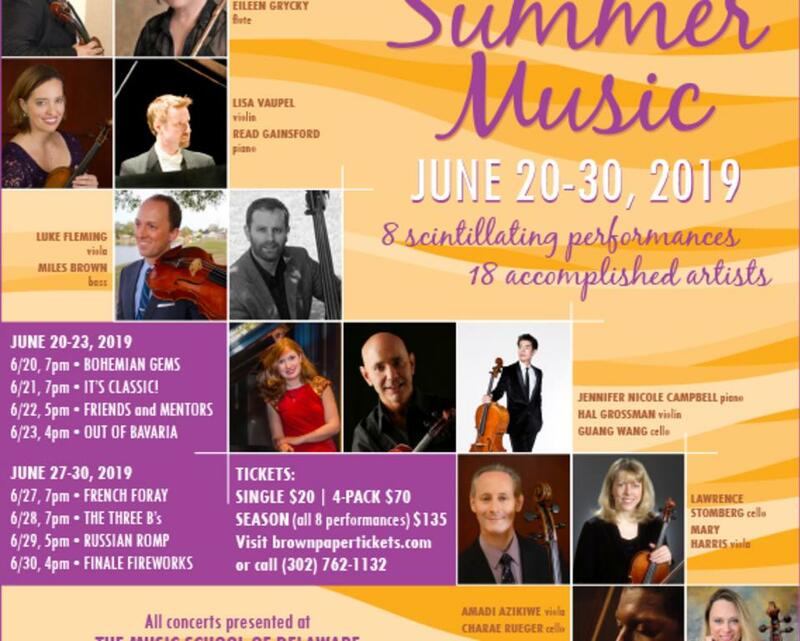 All performances will be held at The Music School of Delaware, Wilmington Branch, 4101 N. Washington Street, Wilmington, DE. Tickets are $20 single ticket, $70 4-pack of tickets and $135 for a season ticket (all 8 performances). Purchase tickets by visiting www.brownpapertickets.com or calling (302) 762-1132. 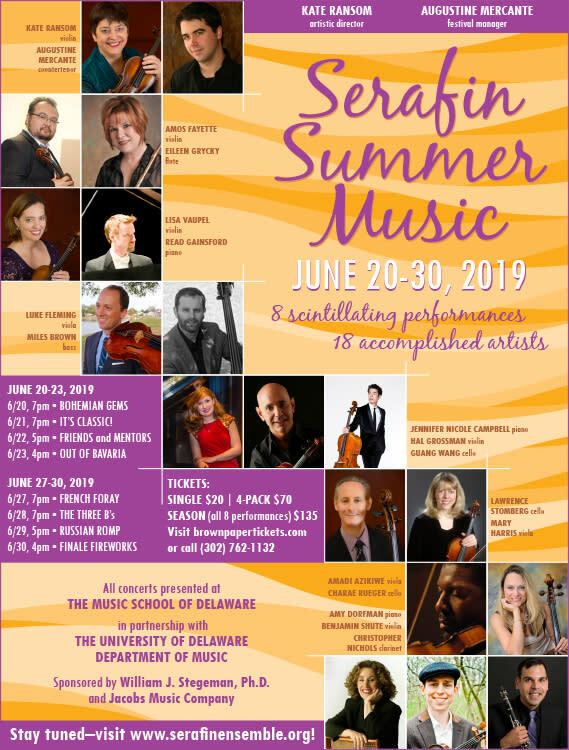 For more information, please it www.serafinensemble.org/summer.http://www.serafinensemble.org/summer.php.